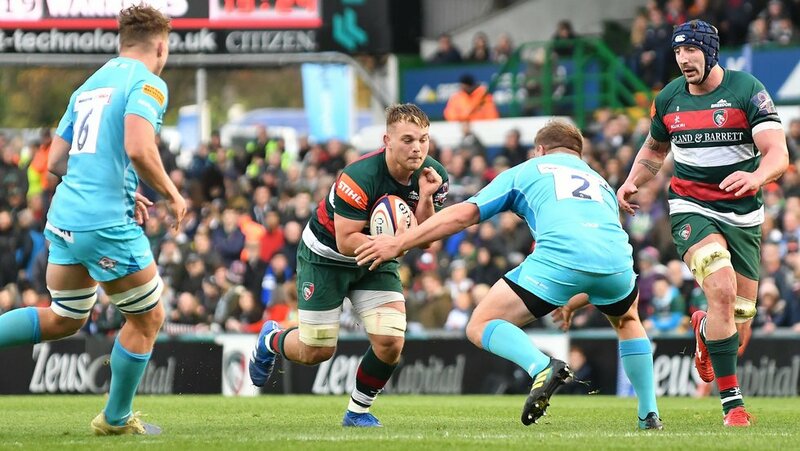 Openside flanker Will Evans enjoyed a remarkable rise through the ranks in the closing stages of the 2015/16 season, making his senior debut for Leicester Tigers and then going to the World Under-20s Championships with England. From Norwich and a former student at Wymondham College, where Tigers colleague George Worth was a team-mate, Evans earned international recognition at four age-group levels as he progressed through the Tigers academy. He impressed enough in senior company to earn a Premiership debut against Gloucester at Welford Road in April 2016 and made three more appearances that season, including in the semi-final at Saracens. He was then selected for the Under-20s World Championships in Manchester in 2016 and marked his debut with a try in a win over Scotland. After 18 first-team appearances in 2016/17, he joined England Under-20s for another World Juniors in the summer of 2017 as part of a squad which reached the Final.